At Salon Essence, our stylists have over 100 years of combined experience. We pride ourselves on staying educated and up to date on all the latest styles, products and fashion to give our clients the look they desire. Our mission is to bring out the beauty in each individual through creativity and continuing education. We strive to be compassionate professionals with the desire to give our clients excellent service and develop a strong lasting relationship with each person we service. 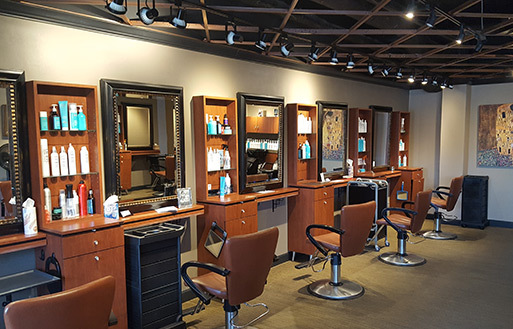 Whatever your hair and beauty needs, you can trust our friendly staff and stylists to deliver results in a comfortable environment. We also offer the convenience of online and mobile booking, loyalty rewards and referral discounts on products and services. © 2017 SALON ESSENCE. Designed by Webappclouds | Developed by SalonCloudsPlus.